Gianvito Rossi suede sandals with leopard-print trim. 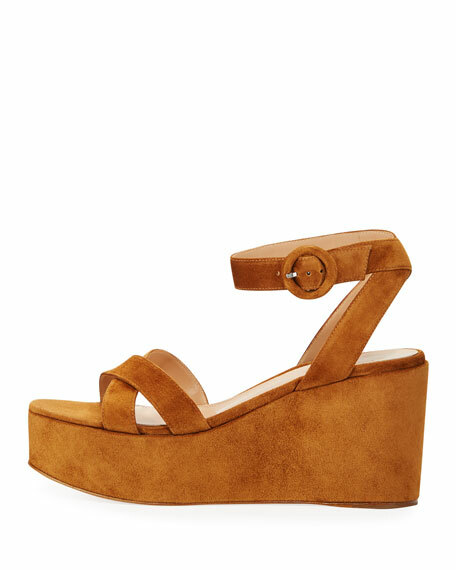 4.1" wedge heel with platform. Antolina "Barbara" espadrille sandals. 5.5" braided-jute heel with platform. Knotted upper in woven cotton. Adjustable ankle strap. Open toe. 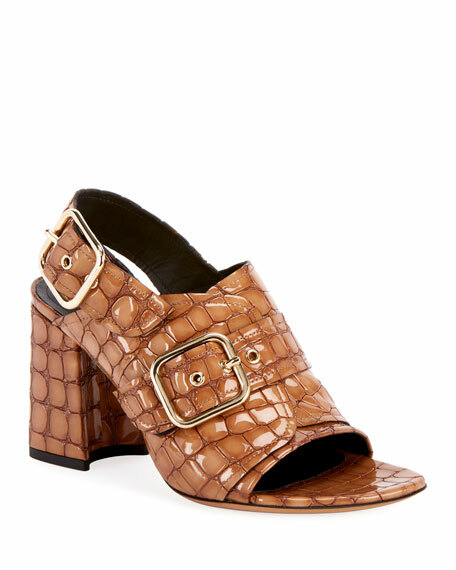 Calf leather sole. Lamb leather insole/lining. Padded footbed. Made in Italy. 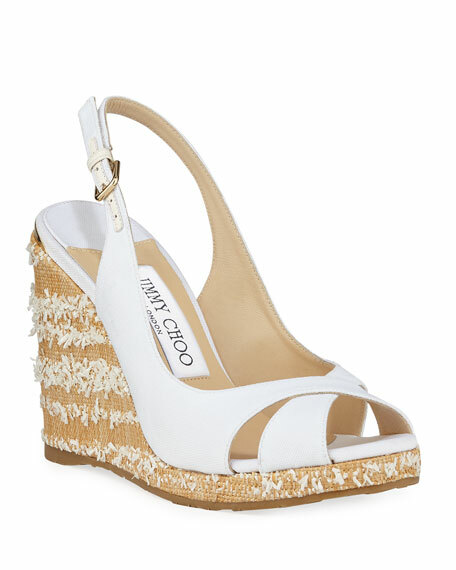 Jimmy Choo "Amely" sandals in cotton canvas. 4.1" woven raffia wedge heel with platform. 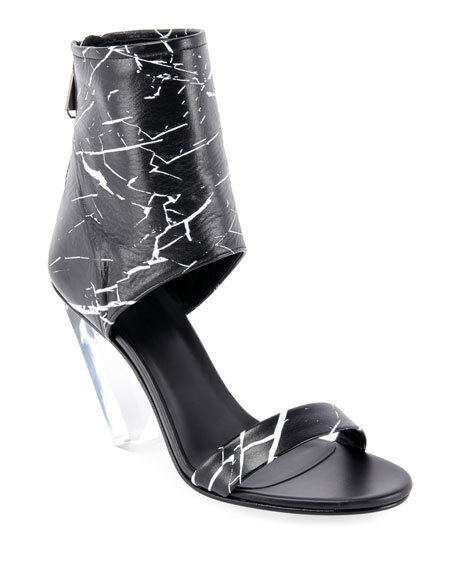 Open toe with cross-strap detail. Adjustable slingback strap. Leather lining. Rubber outsole. Made in Spain.